These SecureOnCampus hand-crafted college dorm trunks are constructed from the highest quality materials. They feature a waterproof, dentproof, scratchproof exterior over 3/8" Birch hardwood. They are strong enough to sit on (or stand on) which is key for extra dorm seating. They not only are just as strong as steel trunks made by other companies, but are actually more durable. Product size 32"L x 18"W x 14"H Product weight 29 lbs Our Select dorm safe is perfect for storing valuable portable electronics, DSLR cameras, important documents and much more. 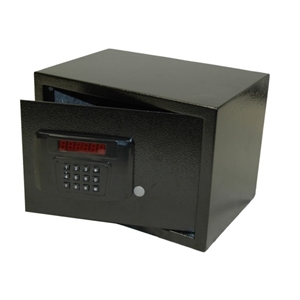 The Compact Dorm Safe is the perfect solution for "on-the-go" security. Ideal for study abroad or on campus. It is designed to secure cell phones, wallets, keys, iPods, GPS units and other compact but expensive to replace items that are especially vulnerable to theft. The Compact Dorm Safe is the perfect solution for "on-the-go" security. Ideal for study abroad or on campus. It is designed to secure cell phones, wallets, keys, iPods, GPS units and other compact but expensive to replace items that are especially vulnerable to theft. These SecureOnCampus hand-crafted dorm trunks are constructed with the highest quality materials and they are ideal of handle all college organization needs. They are strong enough to sit on (or stand on) and let's face it, who couldn't use a little more seating in a college dorm? 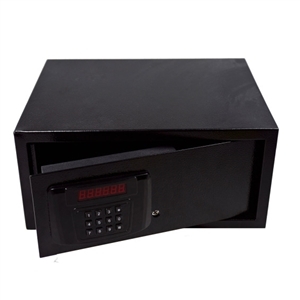 An ideal dorm safe to keep valuables like wallets, phones, ID's safe and can be hidden inside a dresser drawer. Our SecureOnCampus Study Abroad College Trunks are especially designed to withstand the abuse that they will inevitably endure as you explore the world traveling and studying abroad. These trunks meet airline size regulations and are perfect for Study Abroad, Summer Camp, life at college (where it can double as extra seating!) and even military deployment. The last thing you need to worry about while you travel half way around the world is whether or not your trunks can keep up with you. Engraved nameplate for any of our college dorm trunks. Remember when your mother wrote your name inside of your clothes when you went to school? This is not like that. Brushed silver finish on plastic. 1 x 3 inches Ships inside of dorm trunk only. Accessories are sold only with purchase of our college trunks.